Nothing means more to Dad than a Father's Day gift made by his children. 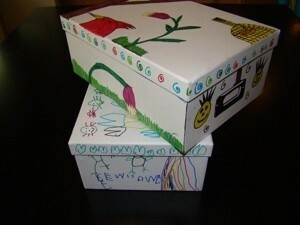 This is a guide about Father's Day crafts for kids. Children love making and giving gifts which they always put their hearts into, so why not let them give both to Dad on his special day. 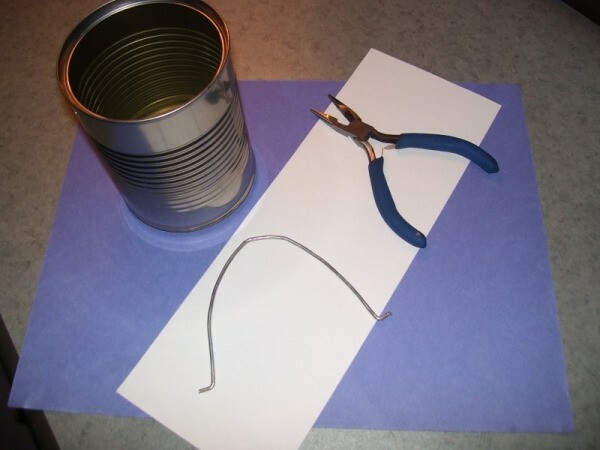 Here is an easy, but heartfelt gift for them to create. An adult will need to help with the handle, but the kids can design the rest. Remove label from can and wash thoroughly. Cut a piece of paper the width of the can and long enough to wrap around, just like the label was. Let the kids decorate the label. Attach to can using double backed tape. Poke hole through paper where the can holes are. Bend wire for handle and insert through holes. Bend each end up to secure handle. If children are old enough, have them write down reasons they love Dad. They can also draw small pictures for him. Tear off reasons and pictures and fold each one up. Put all of them inside can. If the children are too young to write, ask them to tell you and write down everything they say. I did this with my grandchildren and one of my youngest granddaughter's reasons was that "Daddy's feet don't stink". Of course that one went into the bucket along with the rest and I'm sure "daddy" will love it! My oldest granddaughter said that she loves how daddy's hugs feel. Dad will feel like a king on Father's Day! 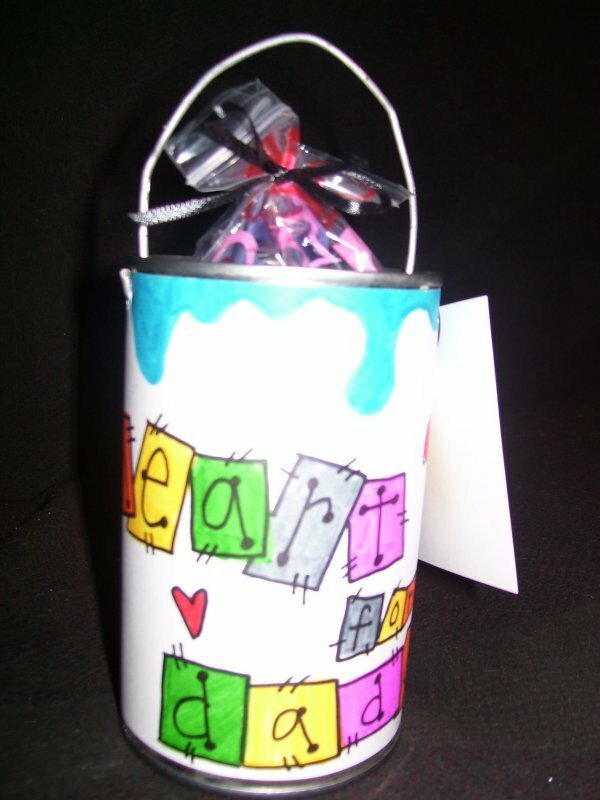 We decorated ours to look like a paint pail and wrote "Heartbeats for Daddy" on it. We put all the love notes in a zip lock bag that had hearts on it and tied it with ribbon and put it in the pail. Then we attached this poem that I wrote for them. Please feel free to use it. 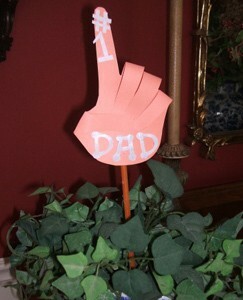 Glue your hand print to the top of pencil or dowel and poke into a nice plant for Dad and he will smile all day. Trace around your hand on a piece of skin tone colored craft foam. Cut out and glue down the thumb and three fingers leaving the pointer finger up. Cut out letters to spell DAD from card stock, construction paper, or white craft foam. Glue to front of hand. Cut strips of paper or foam to make a "#" sign and a number "1". Glue hand to the top of a pencil or dowel stick. Poke into a plant and give to dad or grandpa! Father's Day is just around the corner. 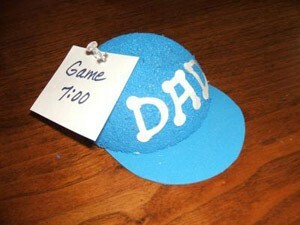 So let the kids create these cute baseball cap note holders for Dad. They would also make cute place card holders for a baseball themed birthday party. 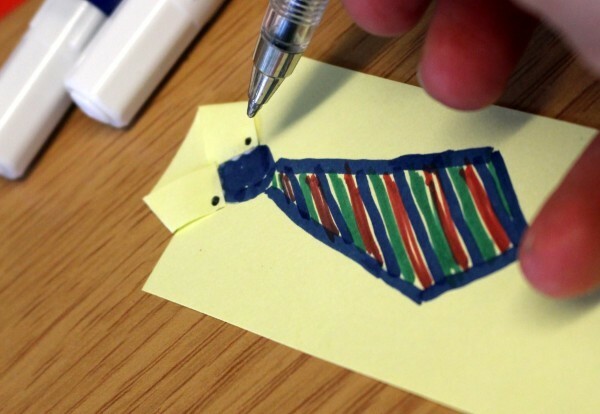 Cute, easy idea for kids to do for Father's Day! 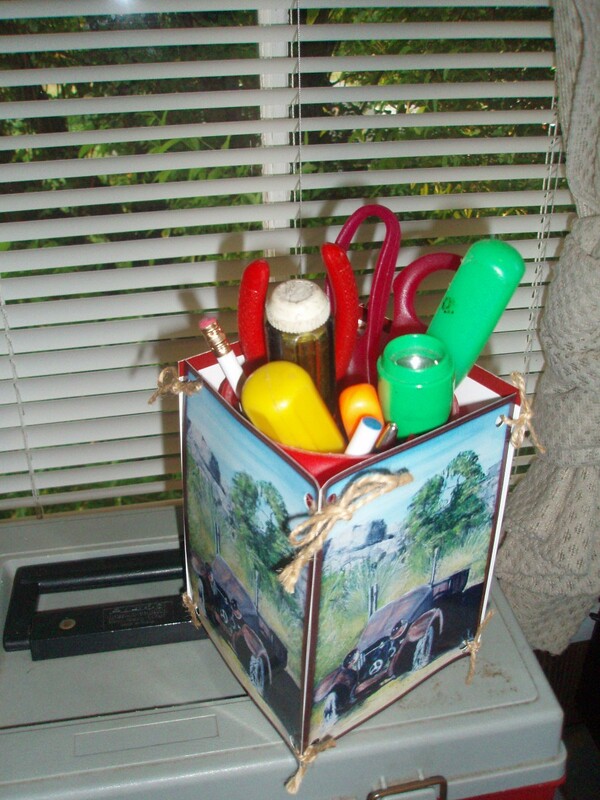 Have them make him an instant tool or pen/pencil holder for his desk or workshop. I can't come up with an idea of what to make my Dad for father's day. He likes Minecraft and Marvel and doesn't like sports. Please help! 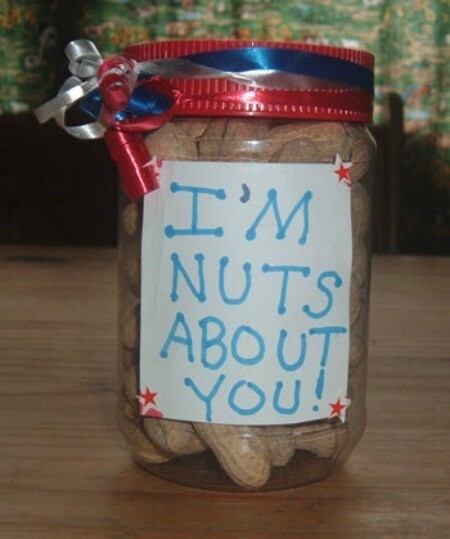 This cute jar filled with peanuts is a nice inexpensive gift the kids can make for Father's Day. This is a guide about, "I'm nuts about you!" recycled jar craft. 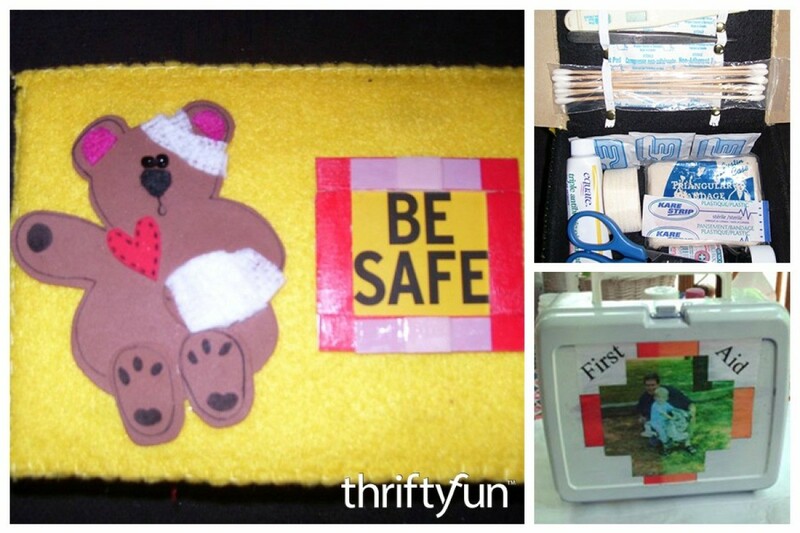 A great project for the kids to make Dad for Father's Day or his birthday is a small first aid kit for home or office. This is a guide about making a first aid kit for dad. 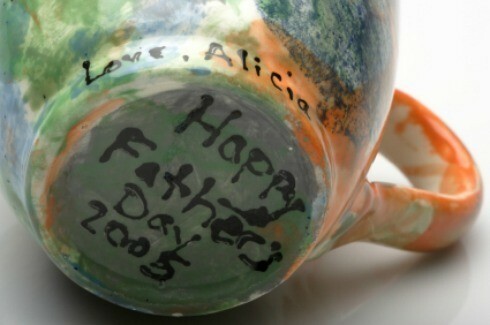 Kids can make this simple Father's Day gift using a paint stick, ruler, and a marker. 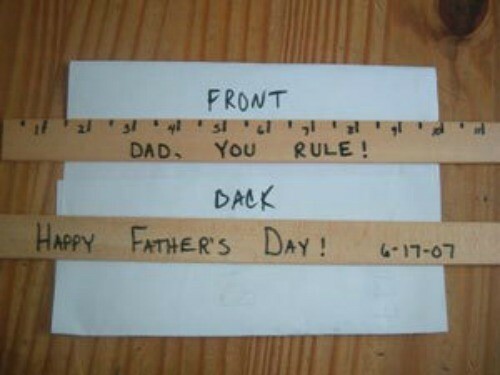 This is a guide about, "Dad, you rule" ruler craft.